Bend the rules of building as you flex, connect, and extend with Joinks! 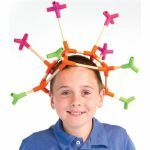 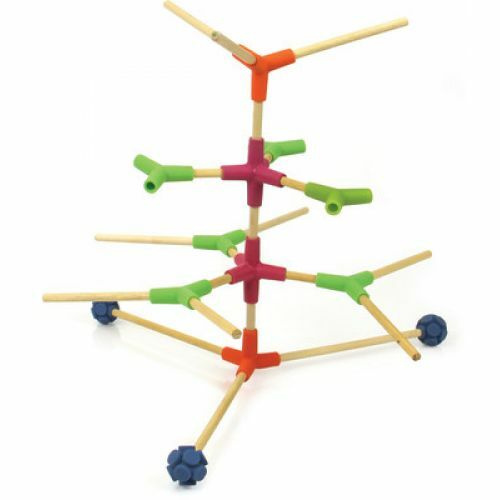 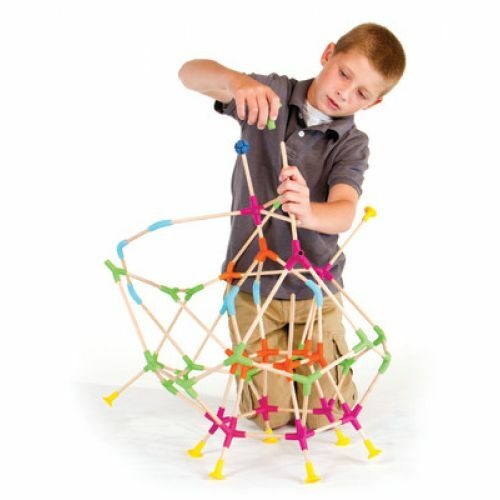 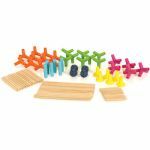 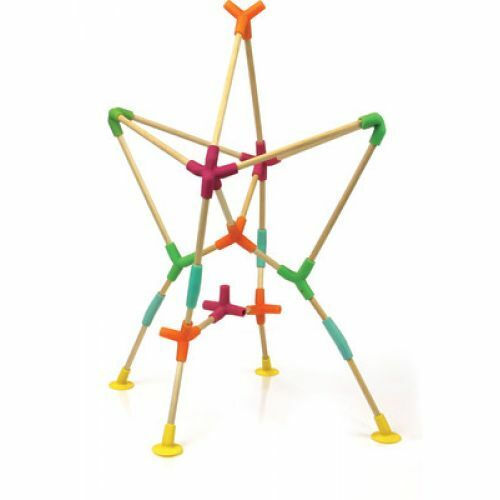 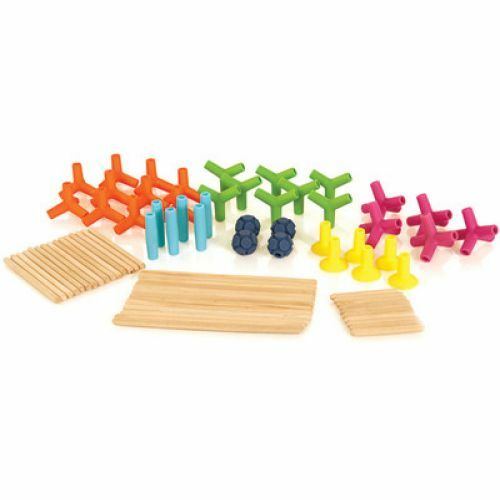 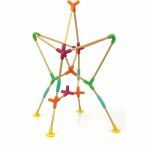 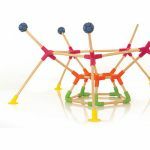 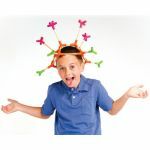 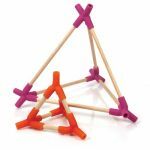 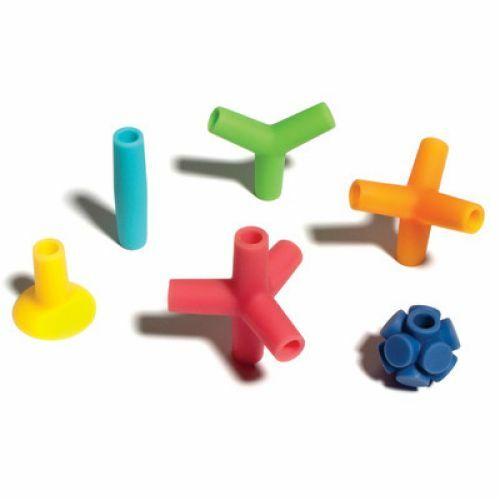 Made from flexible silicone connectors and wooden sticks, you'll be constructing all kinds of creative structures that bounce, wiggle, and move! 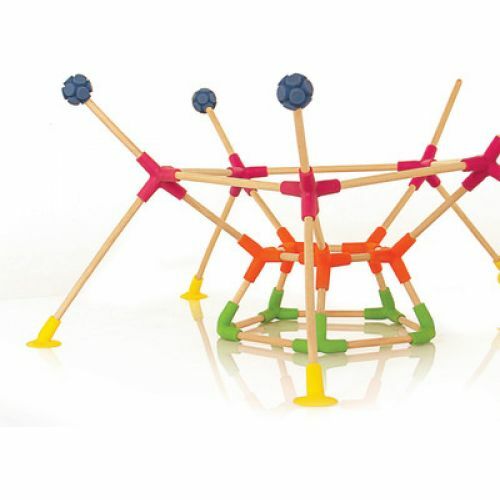 76 pieces.